Last Updated: March 19, 2019 · Published: May 2, 2017 By: Asian Caucasian 1 Comment This post may contain affiliate links or sponsored content. I finally succumbed to the latest craze… the upgraded pressure cooker (a.k.a. the Instant Pot)! I dragged my dusty, old pressure cooker out of the very back of my kitchen cabinet to compare the two. Wow, what a difference! Isn’t technology grand? My mom introduced me to the pressure cooker eons ago! I think I made one dish in it over the past several decades. But now, whole new ball game! 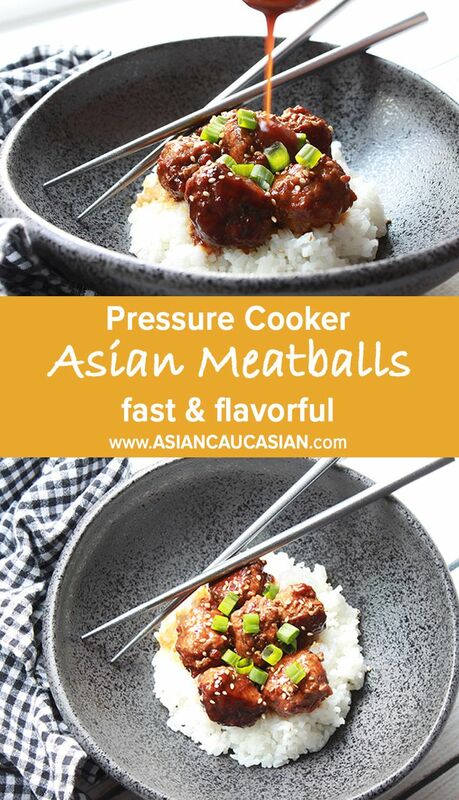 This Asian turkey meatball recipe was so fast and delicious — and the family was raving! It’s a cinch to prepare and loaded with flavor with both sweet and spicy elements. Plop the meatballs on top of some steamed white or brown rice, drizzle extra sauce on top, and enjoy! This will not be my only dish in my new pressure cooker, rest assured! 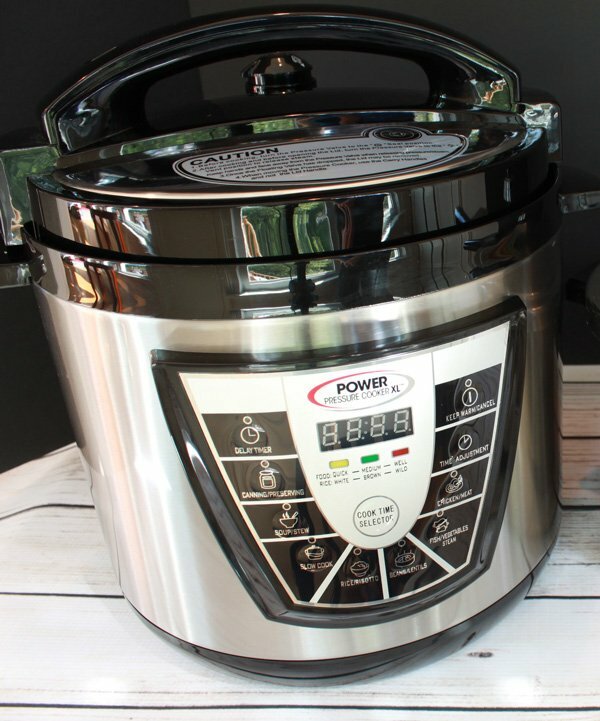 My new favorite kitchen device, the Power XL Pressure Cooker! Major timesaver! 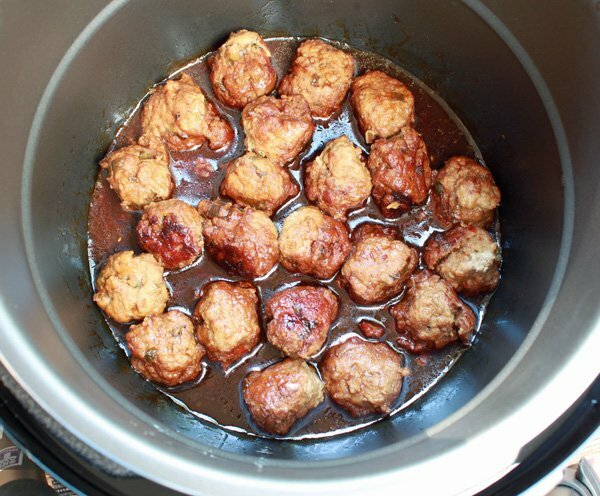 Brown the turkey meatballs in the pressure cooker and pour sauce on top. 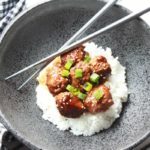 Drizzle the yummy sauce on top of the meatballs and garnish with green onions. In a large mixing bowl, thoroughly combine turkey, egg white, garlic powder, bread crumbs, green onions, sesame oil, chili pepper, salt, pepper, and sesame seeds. Form turkey mixture into 2 inch meatballs using a small ice cream scoop. Place on a cookie sheet until ready to brown. For the sauce: In a small mixing bowl, whisk together the all of the sauce ingredients until thoroughly combined. Heat the pressure cooker on the sauté or browning mode. Add the canola oil and, in batches, add the meatballs one-by-one in a single layer to brown. Brown all sides and push aside the browned meatballs to make room for the next batch. Once meatballs are browned, cover them completely with the sauce. Cover and lock the lid, and cook on high pressure for 10 minutes. 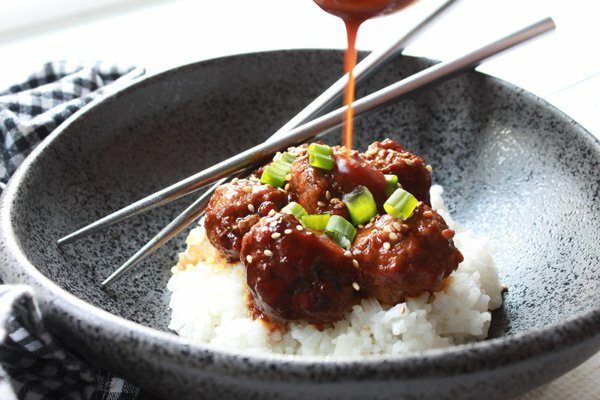 Serve meatballs over steamed rice and drizzle extra sauce on top. Garnish with green onions and sesame seeds.